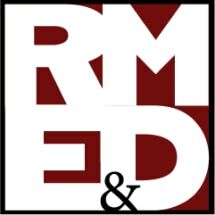 At Ramsden, Marfice, Ealy & Harris, LLP, in Coeur d'Alene, Idaho, we offer effective guidance from experienced attorneys in a wide range of practice areas, including civil litigation, business law and formation, real estate law and estate planning. With more than 20 years of experience, we are experienced in resolving conflicts and developing practical solutions to legal situations and disputes. Our attorneys approach every matter they handle with experience and professionalism. When you work with us, you will work with a team of lawyers that is committed to finding the right solution to your legal matter. We will keep you up to date on the progress of your situation and give you straightforward advice on how best to handle it. To arrange a time to discuss your legal matter with one of our experienced attorneys, please call us at 208-664-5818. Open Monday through Friday from 8:00 a.m. - 5:00 p.m.